I noticed a couple of my fellow bloggers taking part in an exciting project which I finally got round to looking at this week. 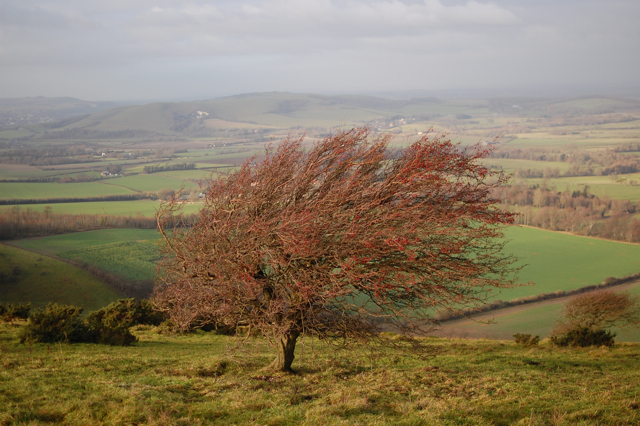 The Tree Year blog has been set up to coincide with the International Year of Forests and is encouraging people to pick a tree to observe closely for one year. As soon as I read about it I knew I wanted to join in and I’m really looking forward to reading other people’s contributions and getting to know a variety of trees across the world through their eyes. 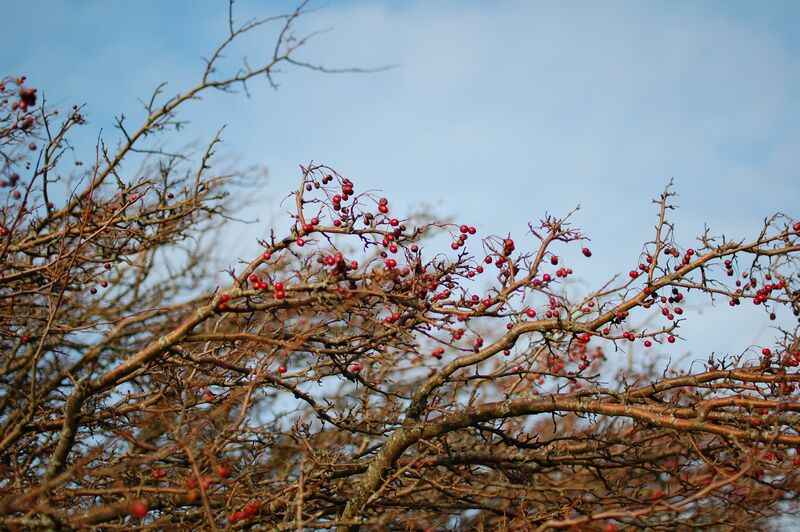 It was easy for me to pick my tree as I’d already committed to spending the year observing a group of my favourite Hawthorns for a herbal project Brigitte, Lusach and I are hoping to put together about this wonderful healing tree. As the year progresses I’ll be posting about the changes I observe, the medicines I make and any other thoughts or inspirations that she evokes. As soon as the weather warms up a bit I’ll be out with my sketch pad too! I’ve written about Hawthorn a couple of times before looking at the blossoms here and the berries here. Be more aware of the little things in life – see and enjoy the diversity and beauty of the life and colors on a tree – and share it with others. Pick a tree – either one you like a lot or one that you see every day on your way to work or that happens to live on your balcony. Observe it: every day or once a week or less. What grabs your attention? What kind of animals are and what kind of plants grow on it? Write about your observation, make sketches or take photographs and share it with us. Darcey Blue over at Gaia’s Gifts is also looking at Hawthorn so it will be interesting to see how our observations differ, she being in the US and me in the UK. Clare at Hedgerow Hippy is looking at a lovely Lime tree and Ananda at Plant Journeys is spending time with her favourite Birches. There are many other contributors too, have a look by following the link at the top of the post. What a wonderful opportunity to learn, raise awareness and celebrate our amazing tree friends! I so want to do this. I’m thinking of my beloved black walnuts. What a wonderful way to get to know them better. This is very exciting. thanks for telling me about it. 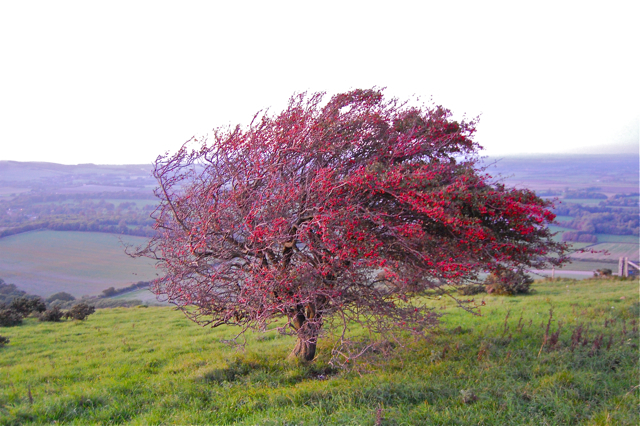 I love your hawthorn~ Such a shapely tree! I’m following the Osage Orange in our backyard (but I haven’t blogged about it yet; just journaling). It’s exciting for me to do this, too. 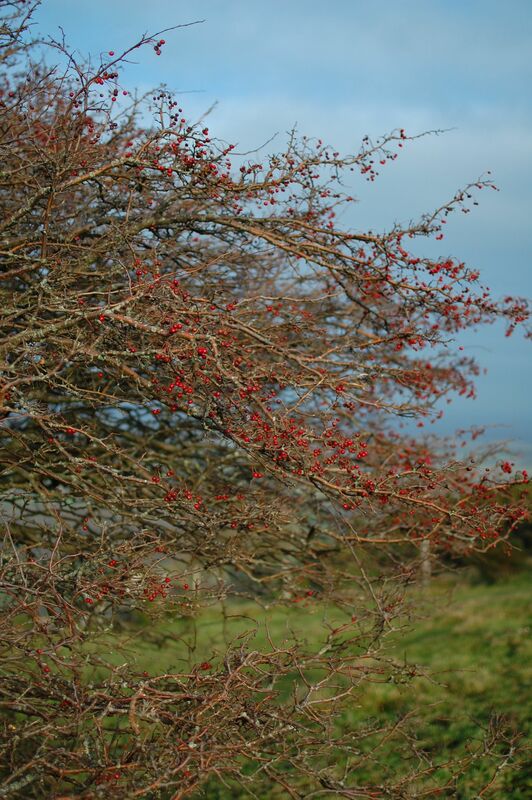 I’m excited to get to know everyone else’s trees too, especially your beautiful hawthorn.